The next morning, I meet Asyl outside the hotel at 6am. I’m wearing newly bought waterproof trousers, boots, and North Face jacket. The jacket soon comes off though, as it’s already approaching 35 degrees celsius. Asyl drives us into the foothills outside Bishkek. The sky is pure cerulean. The khaki mounds undulate, becoming ever more vigorous, as we move further into the steppe. 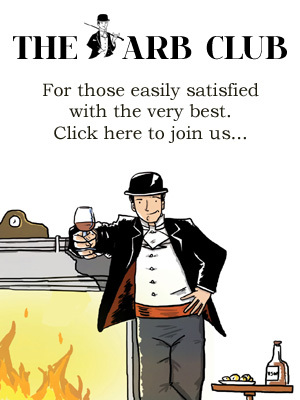 We pull up by a collection of yurts in the middle of nowhere, where we find a skinny man in shorts and a vest holding a pony by a gnarled rope. I pay him around £7.50 and heave myself onto the unfortunate beast. There is no training. No safety instructions. No helmet. 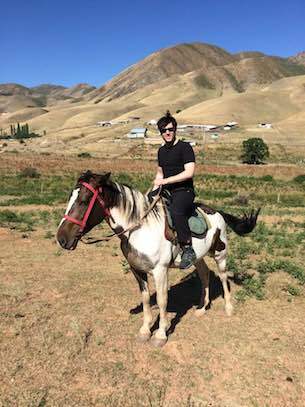 To compound matters, I can’t seem to remember how to ride a horse. The last time I was in this position, I was 11 years old at an equestrian centre in the Lake District. My mind is still stuck in rural Cumbria at the turn of the last century, when the skinny man in the vest arrives next to me galloping out of nowhere. He strikes the horse on the backside. It rears up and bolts. I pull back the reins, but we’re off. The skinny man is in hysterics, as he rides next to me, before throwing me the whip as I hurtle off into the distance. “John Wayne!” Asyl shouts out after me. I cling on to the terrified nag. It sprints across the steppe for fifteen minutes, before taking a breather. I immediately jump off. Thank God we’re not heading into the wilderness on these death traps. Asyl and I have a cup of coffee and take in the breathtaking scenery of Tian Shan mountains. He explains how he’d love to move to the U.K, mainly as a stepping stone to then move to the US. He wants money; a fast car; and a beautiful wife. That’s why he learned English. Life is better there. The women are more beautiful, he tells me. “But what about your wife?” I ask. When we meet Asyl’s wife, she doesn’t seem capable of eating his brains out. She is very quiet, speaks no English at all, and is just shy of 20. Asyl doesn’t tell us her name but informs us that she was a runner-up in Miss Kyrgyzstan a few years back. I assure him it’s fine for her to accompany us and we head out to Lake Issky Kul on Asyl’s recommendation. Lake Issky Kul is the second largest saline lake in the world after the Caspian Sea, and the second-largest mountain lake in the world after Lake Titicaca. During the Soviet era it became a tourist hotspot for Kazakh and Russian visitors. It is also a site of somewhat historical importance. 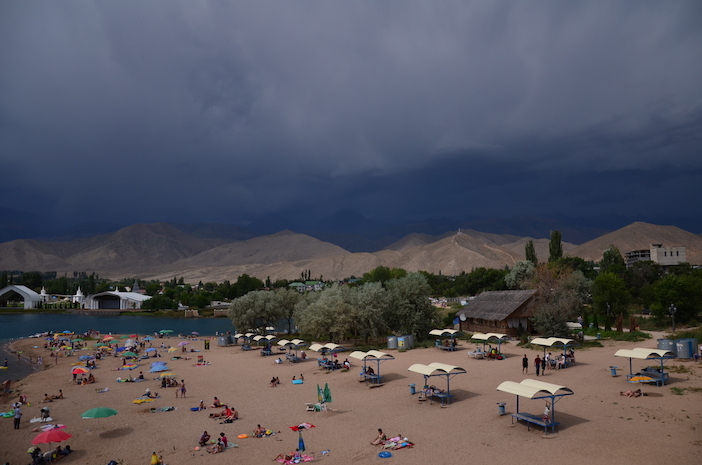 Until recently, it was believed that Lake Issyk Kul was where the Black Death originated. The first known victims of the plague were a community of Nestorian Christians living on its shores. Their graves were discovered by a Russian archaeologist in the 19th Century. The lake’s location in the middle of hazardous Steppe and mountains made it an important trading post on the Silk Road, particularly for the salt-drinking Bactrian camels who would have once trekked from the Gobi Desert to the shores of the eastern Caspian. Today it is thought that traders arriving from China brought the plague to the lake, and then onto Europe. Fortunately, there is no outbreak of plague today, although Ben’s coughing, and the odd colour of the water, would lead you to think otherwise. The facilities on the lake are minimal. There is a plastic water slide. A camel that you can ride up and down the beach, and a bar. We decide to get a vodka in the bar, but as we settle down, we see in the distance, a storm brewing around the golden-brown mountains that encircle the lake. Suddenly, the crowds are fleeing the beach from the impending summer rains. Asyl finds us. I happen to be celebrating my birthday in Bishkek. To mark the occasion, Ben has booked us a table at an ‘ethno-complex’ on the outskirts of the city called Supara. Thus far, we’ve avoided any Kyrgyz food, not out of intent, but simply because most restaurants in the city specialise in other cuisines. There are lots of Uzbek and Turkish restaurants, but very few Kyrgyz ones. The complex is a theme park dedicated to nomadic life. 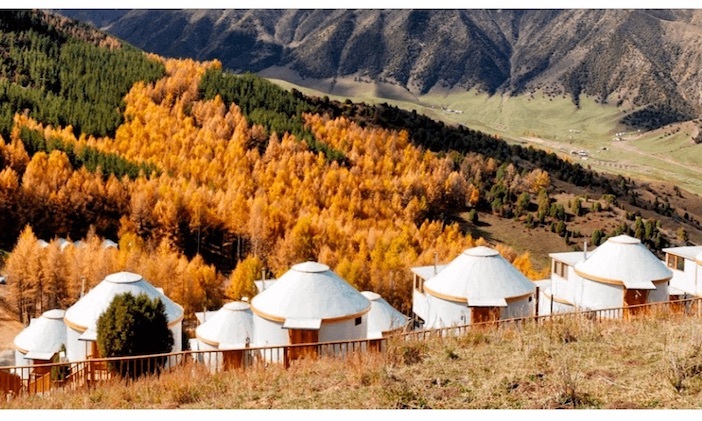 Large yurts are stationed across the site, in which you can enjoy a private dining experience. Traditional Kyrgyz music; a vigorous, percussive strumming on low-tuned guitars, plays out over loudspeakers. A young man in a felt hat is holding an eagle. Men and women wear traditional dress of dark felt, ornate waistcoats. But then, against the shamanic, trance-like drone of traditional Kyrgyz music, we hear Ed Sheeran’s Shape of You booming from one large yurt. A wedding party, all dressed in traditional garb, is celebrating, dancing through the hall. “I’m in love with your body…” they sing in unison. We opt for a yurt at a distance from the wedding party. We want to be able to enjoy traditional Kyrgyz culture, even if it’s already become a packaged, commercialised artefact of a largely discarded way of life. We try a range of teas, and some puffed pastries with berry jams. The teas are good, particularly the black Samarkand tea. Then the mains, I order a Beshbarmak, the traditional Kyrgyz meal of boiled horse meat broth with noodles. Seen as a celebration dish, and often made for birthdays, it seems fitting. I also order chicken and lamb shashliks and rice. Shashlik means skewered and is basically a Turkish shish kebab. In fact, there seems to be a great crossover between Kyrgyz cuisine and Turkish cuisine. What’s more, the Kyrgyz language is a Turkic language. Like Turkish or the Azerbaijani language, it originates from the nomadic tribes that stretched from China to Anatolia. It’s an interesting reminder of our changing notions of East and West. The meal is good. The chicken shashliks in particular are superb, and we conclude the celebration with traditional archery. 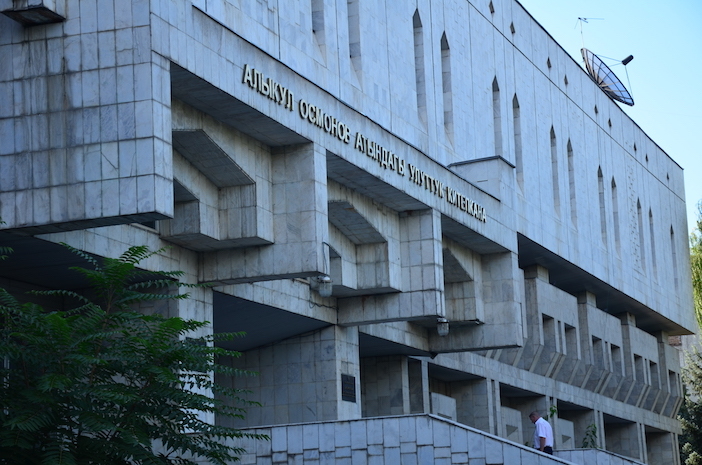 A few days later, Ben seems to be on the mend from his bronchitis, and Asyl offers us a tour of Bishkek to round the trip off. When he arrives at the hotel, however, he has a black eye. “Don’t go out at night, Tom. It’s very dangerous for you,” he warns. Fortunately, we’re leaving for Kazakhstan tomorrow, but I resolve to heed Asyl’s advice, and never go out alone in Bishkek. We visit Osh Bazaar, a heaving congregation of stalls selling everything from spices, grains, and vegetables to electronic equipment. We stumble across a stall selling traditional felt hats, rugs and coats. Felt is an important part of Kyrgyz nomadic culture, and felt rugs are still made by nomadic tribes in rural Kyrgyzstan. I catch sight of a long, flowing green felt coat embroidered with gold. “That’s a chief’s coat,” Asyl tells me. I buy it for £35 and wear it for the rest of our trip. We visit Victory Square, Bishkek’s monument to the Great Patriotic War (more widely known as World War II) and are told by Asyl that the Soviet Union single-handedly defeated Nazism. We wander around Ala-Too Square, a vast, empty plaza, where the sun bounces violently off monumental, austere, white, government buildings. Asyl tells us about the 2005 and 2010 revolutions, where rioters gathered to take down the sitting presidents. Although these revolutions are sparked by internal frustration at corrupt politicians, they are also turning points for America or Russia to extend their sphere of influence. It’s alleged that the Americans helped pave the way for the revolution in 2005 by funding pro-democracy groups. While, in 2010, it’s alleged the Russians abetted the revolution; one source reported that Russia’s Federal Security Service was visibly on the ground during the crisis. 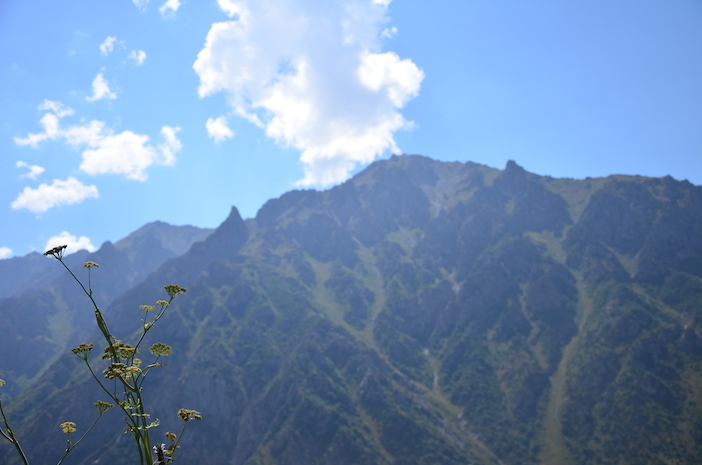 Done with the sights, we decide that we should experience what Kyrgyzstan is known for: nature. 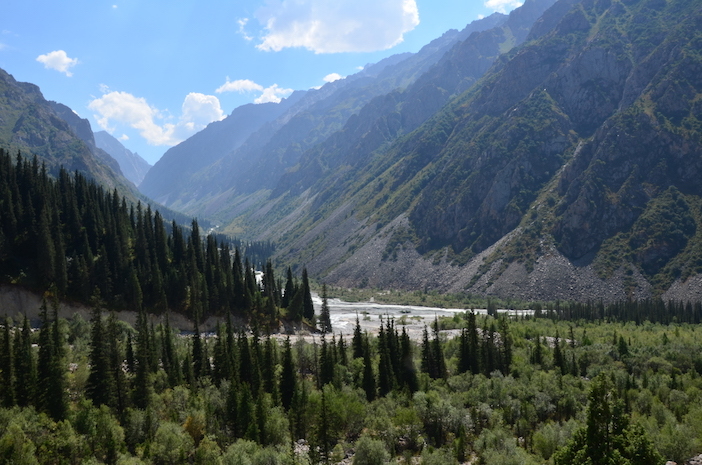 Asyl duly drives us out into the Ala Archa National Park, roughly 40km away from Bishkek. As tourists we have to pay a little extra for entry into the park, around 50 pence. The park is a stunning Alpine playground. A glistening river cuts through two majestic mountains, the greenery is abundant. Ben and Asyl stop off by the side of the road. Ben’s bronchitis is back, while Asyl is bored. I head up the path on my own. There are a few international hikers along the way. A Polish family, and a German nurse. Local guides occasionally pass on horseback. We wander across grey boulders, through wild flowers. It feels like Switzerland, without the prices. And this is why one should come to Kyrgyzstan: to get away from it all; to go off grid; to experience nature as it was intended. That is, after all, is why we came here. And, all in all, we spent seven days in the most democratic country in Central Asia – though, admittedly, most of it was spent in the Orion’s incredibly well-equipped gym and pool. My advice for any intrepid traveller thinking of venturing out here would be to avoid contracting bronchitis – or avoid being accompanied by someone who is in danger of contracting bronchitis – because it is undeniably one of the most beautiful countries in the world. With our days up in Kyrgyzstan, Asyl provides us with his final service; securing us a taxi that will take us all the way from Bishkek back to Almaty in Kazakhstan, and for around £25. It’s a very good price. We wave goodbye to Asyl and his wife, relieved, but with trepidations, for the next leg of our adventure. Magnificent, five-star luxury with a hint of Soviet oddness; and if it’s good enough for Steven Seagal, then it’s good enough for you. For more information, visit www.orionbishkek.com. Authentic Kyrgyz cuisine in yurts. The horse meat ‘Beshbarak’ is an acquired taste, but the chicken shish are deliciously spiced and succulent. For more information, visit www.supara.kg. How To Get There: Don’t do what we did and spend 24 hours travelling there. Take a connecting flight to Bishkek’s airport, Manas International Airport with Air Astana. For flight routes and prices, visit www.airastana.com.